Daylyt went against T-Rex at Total Slaughter on Saturday (July 12), an event that was considered to be one of the biggest for the Battle Rap culture. In Daylyt’s third round, he had what appeared to be a bowel movement on stage and ate it. He then ended the round by collapsing in front of the large audience without delivering a single bar. 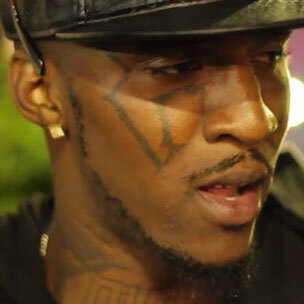 “I took a boo boo on stage man,” Daylyt says in an interview with Angry Fans Radio. 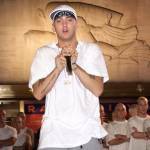 He says that everyone is overlooking his performance at Total Slaughter, but that his true fans understand the kind of battler he is. Daylyt also adds that this will be the death of his antics. Aside from discussing his own battle, Daylyt shares his opinion on Hollow Da Don versus Joe Budden. He said that Hollow Da Don “was cookin’,” but Joe Budden could have performed more. He said that the third round can define whether or not a battle rapper loses. Joe Budden was being booed by the crowd in his last round, which caused him to stop delivering his bars and put down the mic on stage. To read the full story, visit Battle Rap.